When choosing the material for your gutter system, you want something that will work well both for your unique property as well as the climate in which you live. 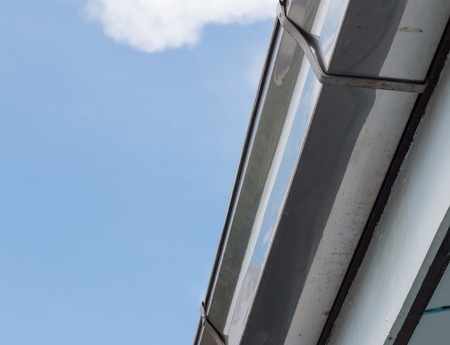 For those living in northern climates prone to ice and snow, galvanized steel gutters offer the tough durability necessary to withstand even the harshest of winters. 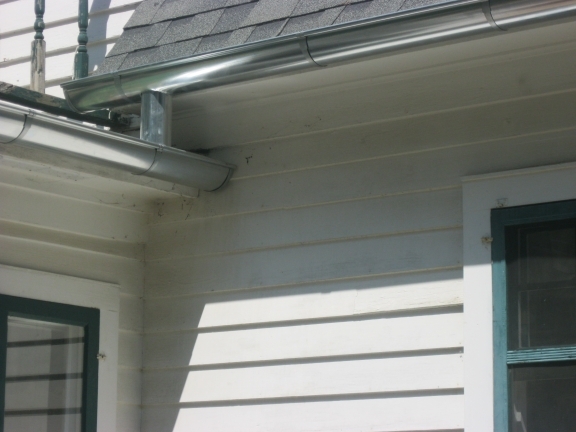 For over 150 years, hot-dipped galvanized gutter components have been used to safely drain water away from the home. It has been the preferred option for those searching for a durable, dependable solution for their water runoff needs. In fact, most steel gutters last between 20-25 years. One benefit of a galvanized steel gutter system is that it is highly resistant to corrosion. This is due to a zinc coating that is applied to it. The zinc offers protection from the many problems common to those living in climates with snow and ice. This includes damage from rust and corrosion. Galvanized steel gutters are also a strong and long-lasting solution. Galvanized steel contracts nearly 50% less than its aluminum counterparts. 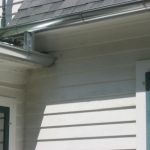 Gutters which contract and expand too much during temperature changes can begin to experience excessive wear. Over time this leads to leaks within the gutter system. For a smart solution for your home’s gutters needs consider galvanized steel. At Custom Installations, we offer professional gutter installation services including steel gutters. With customer service at the cornerstone of everything we do, our team approaches each project with your satisfaction in mind. This dedication to excellence is what makes us one of the Chicago’s leading exterior contracting companies. For assistance with your next gutter installation or repair contact our team at Custom Installations. We will make sure you receive a gutter system that not only performs well but also looks great too. Visit us today to get started on your next project!